Many churches have written off the inner cities. One by one they are abandoning them as they pack up and move to the suburbs. In these days God wants to join passion for His presence with compassion for His people. His people will be found in the most unusual places. You will find them on the street corners, in the bars, and on park benches. We cannot forget that God cares for all. 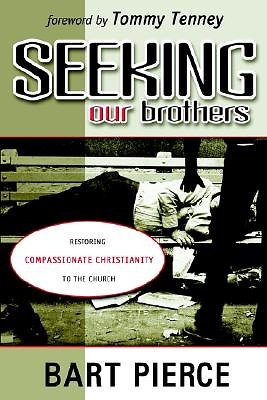 In his book, Seeking Our Brothers, Bart Pierce challenges us to climb out of our comfort zone, capture the compassion of the Lord Jesus and confront the needs of our brothers and sisters in Christ. It is time to regain our cities for Christ!